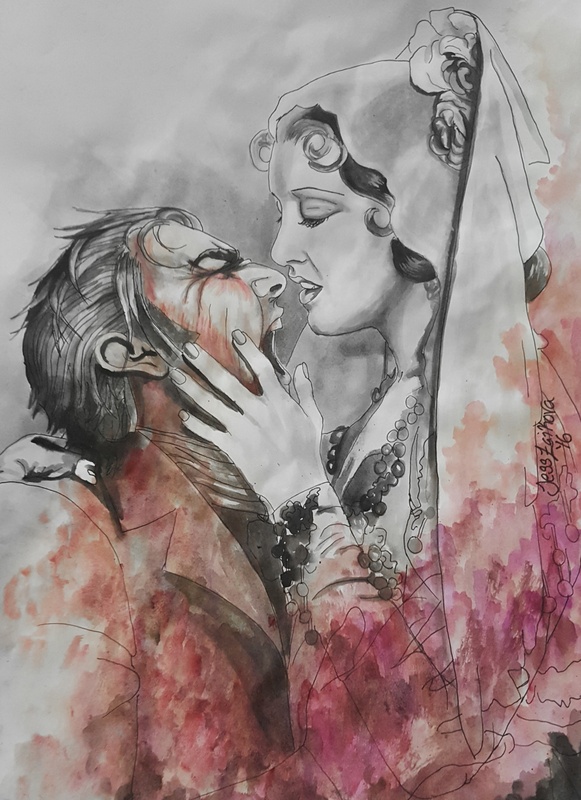 Watercolour A4 I referenced a rather loving promotional photograph from an old film for this drawing. I used to draw similar things when I was in high school and was constantly getting thrown out of art shows and district events for it. Of course, this one only allude to blood, whereas my usual work back then would blatantly have needles stuck through their eyes and blood flowing down the cracks in the skin. I like to think of this as lady death, and the life flowing from this man.